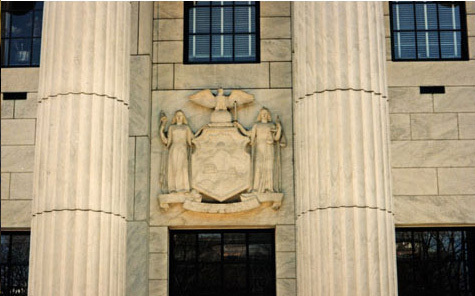 The Court of Appeals, New York State's highest court, is composed of a Chief Judge and six Associate Judges, each appointed to a 14-year term. New York's highest appellate court was established to articulate statewide principles of law in the context of deciding particular lawsuits. The Court thus generally focuses on broad issues of law as distinguished from individual factual disputes. There is no jurisdictional limitation based upon the amount of money at stake in a case or the status or rank of the parties. On February 8, 2016, Chief Judge DiFiore announced the Excellence Initiative, a detailed and comprehensive evaluation of current processes and procedures to determine what is working well and what needs to be improved in the New York State Unified Court System. For more information on this initiative, including how comments may be submitted to the Chief Judge, please see Excellence Initiative. The Court of Appeals has released its 2018 Annual Report. A copy of the Annual Report can be found here. Effective April 4, 2019, the Court of Appeals has appointed Cara J. Brousseau as the State Reporter. A full copy of the notice to the bar can be accessed here. The Clerks' Offices of the Court of Appeals and the Appellate Division Departments release a joint scheduling announcement for dates reserved to consider appeals related to the June 25, 2019 state and local primary elections. The full schedule and notice to the bar can be accessed here. 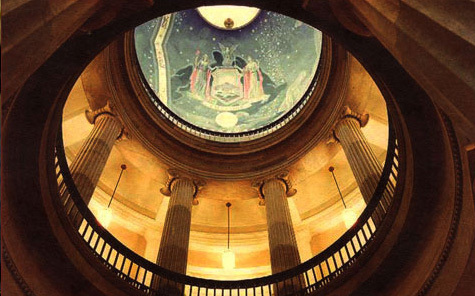 On February, 26, 2019, Chief Judge DiFiore issued the 2019 State of Our Judiciary address at Bronx County Supreme Court. The webcast can be viewed here. The rule amendments are effective July 11, 2018. The full notice to the Bar can be accessed here. On June 7, 2018, the Court granted leave to appeal in Matter of Wegmans Food Markets v Tax Appeals Tribunal. The appeal is proceeding in the normal course of full briefing and oral argument. The Court invites amicus curiae participation from those qualified and interested. Full notice to the bar here.